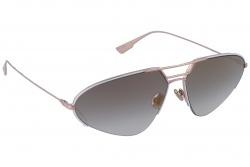 Dior sunglasses have unique and daring designs which make its products very famous in the fashion world. Each collection released by the brand is intended to please the most demanding customers in the world. To manufacture these glasses only the best materials have been selected making them look elegant and resistant. The brand bets for daring designs which will not be unnoticed. Each year millions of fans wait for the new collection of the French brand. The newest and most famous models (Dior So Real and Dior Reflected among others) are a worldwide hit. 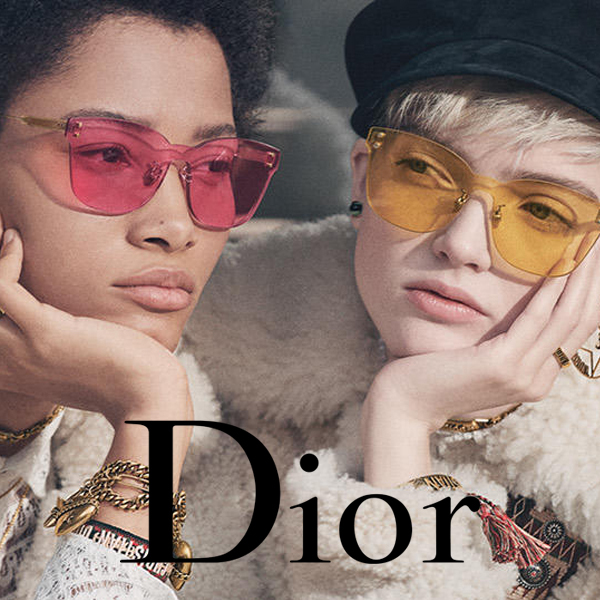 Christian Dior sunglasses are created to be the perfect fashion accessory (they combine perfectly with other fashion elements because of their colours and designs). Their sun collection is part of the huge catalogue by the brand. Each season the brand surprises us with their unique designs which add an extra value to each one of their creations. Their frames always keep all the main emblems by the brand. 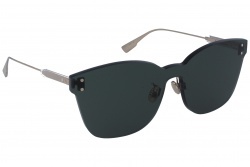 The French brand also add sun lenses with a specially designed style which add some special features to your face. Furthermore, they are manufactured with the best materials (which offers high resistance and durability) and they offer a 100% sun protection. This brand bets for innovative designs this year (their sunglasses are made to conquer the market this year). 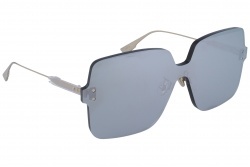 We can find models including metallic and acetate details (mainly in the aviator shape ones). In fact, Dior Desertic is an example of this excellent combination which makes us remember of the best era of classic fashion. Another model which will be a complete hit this year is the new Stellaire 4 (a feminine model with an exclusive design). This brand's glasses are created with special care to ensure that their soft lines emphasize your face characteristics. They are available in golden and silver tones including mirrored lenses. To conclude with we want to mention the most innovative model from this new collection: Dior Soreal Rise. This model is the evolution of the famous SoReal, intended to make the one who wears them the spotlight. Feminine designs are the most emphasized inside the brand’s catalogue. Designers create models that adjust very well to the face and emphasize your face features. Pink Dior glasses stand out from the rest and they are among the most wanted in the latest years. Furthermore, the company always creates accessories that combine very well with each other. Designs for men bet for modern and bold shapes, which allow to project a sophisticated image. Inside the proposals for men we can emphasize models as Composit1.1, Chrono, Pressure, among others. The eyewear catalogue allows the best combination among design and visual correction. They are perfect to wear for many hours. They are designed to be super comfortable, allowing a steadier vision. The brand always creates products of the best quality with high value for the customers. The fashion house has a wide catalogue, you can choose among many colours and sizes to find the perfect combination. Each year the brand surprises us with new collections, elegant and colourful designs that catches the eye. We can find successful models of their collections as: So Real, Black Tie, Reflected, Split, Technologic, among others. It is an accessory that will make you special and project the image of a winner. In OpticalH you can buy Dior glasses online at best prices. All our products have guarantee and free shipment. Christian Dior is a French designer and founder of this brand. He named one of the most representative luxury maisons in the latest sixty years. In twenty years he expanded his fashion business to 15 countries, offering luxury products as jewels, perfumes or glasses, a resounding success. In 1946 he started his own room in Paris. It is known as "New Look" of 1947, characterised for being haute couture for women. The brand represents the classical elegance of the feminine image. It is famous for its ostentatious designs, full of details, where shiny and big frames are emphasized.